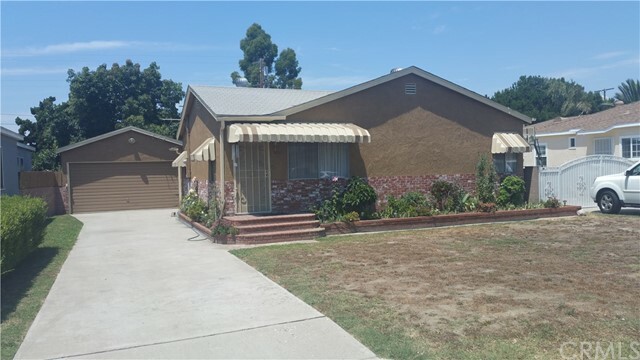 A CLASSIC AND CHARMING SINGLE FAMILY HOME IN BELLFLOWER IS A PERFECT OPPORTUNITY TO MOVE INTO A PRIDE OF OWNERSHIP NEIGHBORHOOD. THIS IS A 3 BEDROOM/2 BATH SINGLE FAMILY HOME WITH A BONUS ROOM ATTACHED. CENTRAL AIR/HEAT THROUGHOUT, LONG DRIVEWAY WITH RV PARKING, LARGE REAR YARD WITH FRUIT TREES AND PLENTY OF ROOM FOR ENTERTAINING. CONVENIENT LOCATION, LOCATED WITHIN CLOSE PROXIMITY OF PARKS, SCHOOLS, SHOPPING, PUBLIC TRANSPORTATION AND EASY ACCESS TO 91 FREEWAY.